Find the tools and knowledge you need to build resilience in all children from an early age through appropriate interactions and conversations. Presenting a wide range of research in an accessible format, Positive Interactions with At-Risk Children explains how to understand and assess behaviors in the context of children's developmental stages. 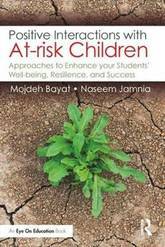 This book introduces Bayat's original Resilience-based Interaction Model (RIM), which combines behavioral and emotion-based theories of development to provide practical steps for early childhood teachers and professionals. RIM features research-based practices, including relationship building, behavior guidance, body-mind exercises for both teachers and students, as well as strategies to promote strengths of character in children and aid future learning. Ideal for new and veteran educators alike, Positive Interactions with At-Risk Children is an invaluable guide to early years behavior. 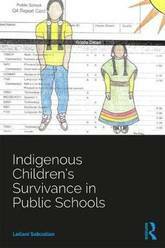 Indigenous Children's Survivance in Public Schools examines the cultural, social, and political terrain of Indigenous education by providing accounts of Indigenous students and educators creatively navigating the colonial dynamics within public schools. 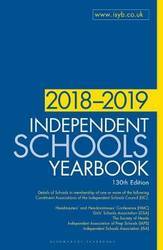 Through a series of survivance stories, the book surveys a range of educational issues, including implementation of Native-themed curriculum, teachers' attempts to support Native students in their classrooms, and efforts to claim physical and cultural space in a school district, among others. As a collective, these stories highlight the ways that colonization continues to shape Native students' experiences in schools. By documenting the nuanced intelligence, courage, artfulness, and survivance of Native students, families, and educators, the book counters deficit framings of Indigenous students. The goal is also to develop educators' anticolonial literacy so that teachers can counter colonialism and better support Indigenous students in public schools. 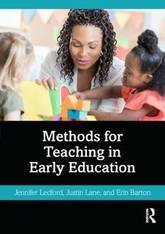 Methods for Teaching in Early Education is a comprehensive textbook offering a thorough introduction to early childhood teaching methods, with a particular focus on inclusive practices. Aligned with both NAEYC standards and CEC's Division for Early Childhood recommended practices, this text explores various early childhood teaching principles and strategies, providing useful guidance for identifying and choosing between approaches. Covering topics from child-directed strategies to working with professionals in early childhood, the authors provide extensive support to prepare teachers for classroom planning and instruction. Each chapter opens and closes with representative vignettes of the challenges faced by today's early educators, and helpfully highlights key terms and objectives to inform learning goals. With the addition of sample worksheets, suggested exercises and helpful references, this book fully supports future teachers in understanding how they might implement these strategies in practice. Methods for Teaching in Early Education will prove indispensable for students of teaching methods courses in both general and special education programs, providing a comprehensive introduction to early childhood teaching strategies relevant for today's inclusive classrooms. 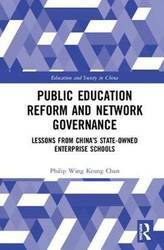 This book is located in the field of education governance and sits amidst debates on public school reform in China. It examines how a top-down policy approach has been implemented from central government right down to the district level within the public education system in China. 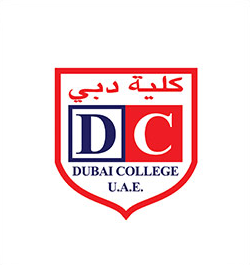 It shows the way networks support negotiation and bargaining at the district level which, in turn, influences the broader education policy of the central government. Using statistical data from education yearbooks, government documents analysis and interviews with main stakeholders in this policy arena, the book incorporates case studies from railway State-Owned Enterprise schools. Analysis of these indicates that the processes of formulating and implementing Chinese education policy can be characterised as a form of network governance, which coordinates actors, decision-making processes and stakeholders' motivation to comply with collective decisions in Chinese education. Network governance acts as an effective and legitimate way of problem solving that assists policy implementation and education reform in China. By comparing two traditional modes of governance (governance through bureaucracy and the governance through markets), this book shows the network mode of governance in Chinese education is more powerful and significant, especially since the negotiated results among actors in the policy community are favourable. The Cape Peninsula University of Technology (CPUT) is one of four Universities of Technology established by the South African government in 2005 with a focus on vocational training. 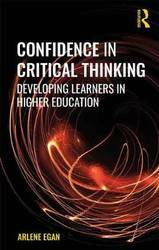 This book presents faculty experiences of CPUT's innovative, work-integrated learning and teaching model, as well as findings from practice-based research being done in the institution. 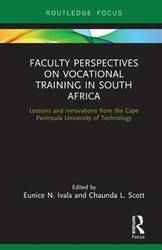 The purpose of this volume is to be a resource for other institutions in South Africa that wish to try similar strategies, as well as a to trigger a community of practice with vocationally oriented institutions outside of South Africa. Inclusive teacher preparation varies greatly in format and practice, yet programs grapple with the same underlying challenges: which practices work and where do they work. As children with disabilities are increasingly being included in schools, it is essential that guidance is put into place on how best to adapt inclusive practices into the classroom and create new practices based on the cultural context. 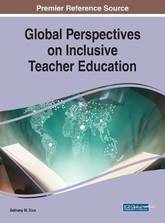 Global Perspectives on Inclusive Teacher Education summarizes existing research on inclusive practices globally while presenting emerging research and opportunities for cementing change in inclusive teacher education locally, including examples of how inclusive practices are integrated in and adapted to diverse cultural contexts. Covering topics that include critical pedagogy, religious schooling, and teacher education, this publication is designed for curriculum developers, instructional designers, administrators, higher education faculty, educators, policymakers, and students. In order to draw out the relationship between publicly-oriented Christianity and education, this book demonstrates that education is an important method and prerequisite of public theology, as well as an urgent object of public theology research's attention. 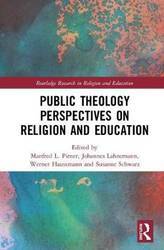 Featuring work from diverse academic disciplines-including religion education, theology, philosophy, and religious studies-this edited collection also contends with the educational challenges that come with the decline of religion on the one hand and its transformation and regained public relevance on the other. Taken together, the contributions to this volume provide a comprehensive argument for why education deserves systematic attention in the context of public theology discourse, and vice versa. Play is critical to children's well-being and development. All students should have access to and adequate time for positive play experiences every day. Learning and Connecting in School Playgrounds invites parents, teachers, principals and education administrators to take another look at their school playgrounds as spaces crucial to learning, well-being and development. 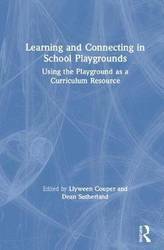 This book combines research findings, commentary and the authors' personal experiences and observations together with the views of teachers, principals, parents and students related to play and play spaces. 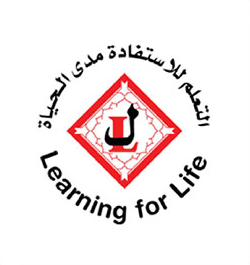 Key content includes consideration of the role of adults in the school playground, the influence of technology on play, the challenges experienced by children transitioning to new school environments and consideration of strategies to support students' access and participation in the playground. Cases are presented to illustrate the use of an audit tool to enhance school playgrounds. The future of school playgrounds is also considered through the reported hopes and dreams of adults and students and a range of recommendations are made for the review and development of schools' outdoor play spaces. Learning and Connecting in School Playgrounds is written with a sense of urgency, calling for the recognition of positive play experiences as invaluable to children's education. It includes important and challenging insights to inform and guide decision-making and will be an essential resource for all stakeholders who share responsibility for children's participation and learning during school break-times. 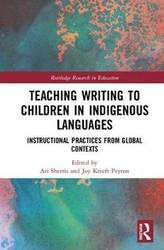 This volume brings together studies of instructional writing practices and the products of those practices from diverse Indigenous languages and cultures. By analyzing a rich diversity of contexts-Finland, Ghana, Hawaii, Mexico, Papua New Guinea, and more-through biliteracy, complexity, and genre theories, this book explores and demonstrates critical components of writing pedagogy and development. Because the volume focuses on Indigenous languages, it questions center-margin perspectives on schooling and national language ideologies, which often limit the number of Indigenous languages taught, the domains of study, and the age groups included. 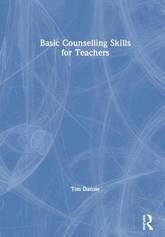 Basic Counselling Skills for Teachers provides teachers and school staff with an accessible guide, and easy-to-apply skills, to providing counselling to students in a school setting. It looks at what counselling is and what it is not, how to recognise that a student may need counselling, creating the right environment, and maintaining confidentiality. Throughout the book, Tim Dansie provides case studies and strategies for teachers that will help them to encourage students to open up and talk whilst having a model to follow outlining a Solution-Focused Counselling approach. It includes easy-to-understand chapters on counselling for: grief bullying anger anxiety depression friendships career guidance technology addiction. 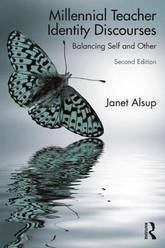 Concise and practical, this book is essential reading for teachers who want to develop their counselling skills and be able to confidently support students in many of the challenges they face on their journey through school. 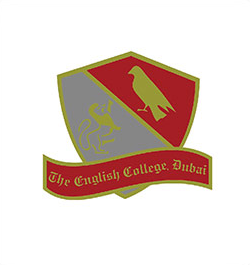 Offering a wealth of photocopiable resources for use with individual children or small groups, Special Learners in School provides a step-by-step programme to help practitioners support children with a range of special educational needs, and develop the skills which are fundamental to their learning in the mainstream classroom. 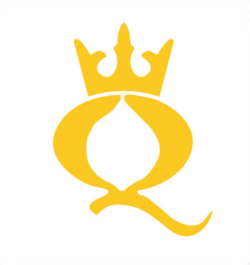 Competencies including active listening and observation skills, memory, comprehension of pattern and sequencing, positional and expressive language, body awareness and emotional intelligence are all key to ensuring a child's access to the school curriculum. Recognising that these can be particular areas of difficulty for pupils with SEND, this book provides a range of activities designed to engage and gradually develop children's use of auditory and visual memory, pragmatic and sensory skills. Easily accessible and differentiated for children at lower and upper levels of ability, practical examples and activities can be used immediately, or be adapted in line with students' abilities and progress. This will be an invaluable source of inspiration and activites for learning support assistants, teaching assistants, teachers and SENCOs looking to support children in mainstream schools as they develop skills fundamental to their learning. As social contexts and demands change in the 21st century, pedagogies and policies must adapt to keep up. Increasing emphasis on global preparedness, competitivity, and holistic education alongside a fast-paced, ever-changing environment may make policy implementation difficult. However, Cheng asserts that it is only by understanding the current trends, visions, and issues in education policy, implementation, and research that we can reflect, adapt, and improve future initiatives. To that end, Cheng elucidates the different paradigm shifts in classrooms and pedagogy all over the world. 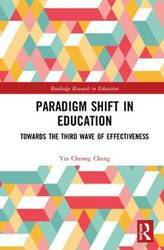 In his exploration of third-wave paradigm shifts in education, he charts the rationales, concerns, and effects in topics such as contextualized multiple intelligences, integrated learning, national education in globalization, teacher effectiveness and development, school-based management, and systemic education reform. This book is a promising referential resource for any policy-maker, academic, and educator who knows that the only way to progress is to look at and learn from the current issues and future trends globally. The financial crisis of 2007/2008 prompted governments across Europe to adopt austerity measures aimed at the reduction of their escalating budget deficits. 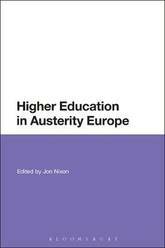 Higher Education in Austerity Europe explores how the resulting cuts in public expenditure - together with the increasing reliance on the privatisation of services - have impacted on higher education directly through the reduction of public sector provision and indirectly as a result of the social and political consequences of that reduction. Moreover, it explores how the effects of these economic policies have differed markedly across the national regions of Europe, with the result that inequality has increased significantly both within and between national regions, and this, in turn, has led to social and political dislocation within and across communities. It is only by viewing higher education within this broader context that we can begin to understand the full implications of the austerity measures introduced over the last ten years. Jon Nixon draws together leading scholars to delve into the complexity of impact and response generated by these measures. Part 1 focuses on cross-European perspectives; Part 2 on the impact of austerity measures within national systems; and Part 3 on new perspectives and possibilities. The volume also includes considered responses from `outsiders' by academics located in Asia, Australia, and the USA, providing an additional dimension to the analysis. As well as analysing the full impact of austerity measures across some of the worst hit national regions of Europe, the contributors also identifying openings and possibilities for renewal. 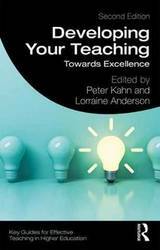 Packed with advice, vignettes and case studies, as well as useful tips and checklists for improving teaching, the second edition of Developing Your Teaching is the ideal toolkit to support the development of teaching practice. Providing a blend of ideas, interactive review points and case study examples from university teachers, this accessible handbook for professional practice provides ideas on a range of topics including: learning from student feedback and peer review students as consumers and their expectations building effective partnerships with students and colleagues developing a teaching portfolio choosing effective teaching practices the challenges and benefits of securing an initial teacher qualification A must-read for all those new to teaching in higher education, as well as more experienced lecturers looking to refresh and advance the quality of their teaching, this fully updated new edition is the ideal toolkit to support the development of teaching practice. Over ten years after the original edition of Teacher Identity Discourses, Janet Alsup revisits her work with a new research study examining the characteristics of the millennial teachers now beginning to populate K-12 classrooms. Building off the first edition, this text is based on a qualitative, interview-based research study, and provides a contemporary look at how millennial teachers experience professional identity growth through language use. This innovative research investigates how formation of a professional identity is central in the process of becoming an effective teacher. Updated with new analyses of teacher identity discourses, the second edition covers themes that still resonate today and provides practical suggestions and sample assignments for teacher educators to use or adapt in methods courses. 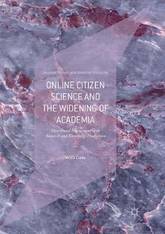 This book examines the increasing popularity of online citizen science projects arising from developments in ICT and rapid improvements in data storage and generation. As these new technologies allow for much higher levels of participation, collaboration and interaction, the author explores what online citizen science projects reveal about the `democratisation' of science and distributed engagement with authentic research. Analysing the wider appeal of these projects as well as their potential for informal science learning and creating communities of practice, this book asks whether `citizen' and `researcher' will ever be on equal footing. Drawn from years of mixed-methods research, this volume sheds light on this under-researched subject area despite its recent growth and enormous potential. It is sure to be of interest to students and scholars of democratised knowledge, citizen science and online learning, as well as those already involved in citizen science. Focusing on reimagining the purpose of vocational education and training (VET) and grounded in the reality of a small cohort of young South Africans and an institution seeking to serve them, Skills for Human Development moves beyond the inadequacies of the dominant human capital orthodoxy to present a rich theoretical and practical alternative for VET. Offering a human development and capability approach, it brings social justice to the forefront of the discussion of VET's purpose at the national, institutional and individual levels. In doing so, this book insists that VET should be about enlarging peoples' opportunities to live a flourishing life, rather than simply being about narrow employability and productivity. It argues that human development approaches, while acknowledging the importance of work in its broadest sense, offer a better way of bringing together VET and development than the current human capital-inspired orthodoxy. Offering a transformative vision for skills development, this book: Considers the potential contribution skills development could make to broader human development, as well as to economic development Points to an alternative approach to the current and flawed deficit assumptions of VET learners Presents for the first time an alternative evaluative frame for judging VET purpose and quality Presents a timely account of current vocational and education training that is high on the agenda of international policymakers Taking a broad perspective, Skills for Human Development presents a comprehensive and unique framework which bridges theory, policy and practice to give VET institutions a new way of thinking about their practice, and VET policymakers a new way of engaging with global messages of sustainable human development. It is a vital resource for those working on the human development and skills approach in multiple disciplines and offers a grounding framework for international policymakers interested in this growing area. Offering preservice and inservice teachers a guide to navigate the rapidly changing landscape of English Language Arts education, this book provides a fresh perspective on what it means to be a teacher researcher in ELA contexts. Inviting teachers to view inquiry and reflection as intrinsic to their identity and mission, Buckelew and Ewing walk readers through the inquiry process from developing an actionable focus, to data collection and analysis to publication and the exploration of ongoing questions. Providing thoughtful and relevant protocols and models for teacher inquiry, this book establishes a theoretical foundation and offers practical, ready-to-use tools and strategies for engaging in the inquiry process in the context of teachers' communities. 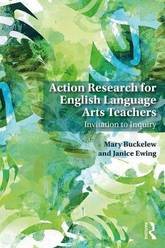 Action Research for English Language Arts Teachers: Invitation to Inquiry includes a variety of examples and scenarios of ELA teachers in diverse contexts, ensuring that this volume is relevant and accessible to all educators. 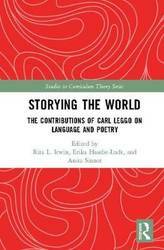 Bringing together Carl Leggo's most significant contributions over the past 30 years, this book celebrates his work in curriculum studies, English language arts, literacy and life writing, poetry, and arts education. Organized around three thematic sections-Loving Language, Narrating Ruminations, and Storying the World-the volume highlights his efforts across interrelated fields of inquiry, including narrative and poetic inquiry, contemplative inquiry, and social fiction. The text extends the discussion and conversation of curriculum studies and is greatly enhanced with a selection of original poetry by this incomparable poet, scholar, and teacher. Carl Leggo is renowned not only for his ground-breaking work at the University of British Colombia, but also for his tremendous influence on graduate education across the English-speaking world. This volume honours that immense contribution in today's time of academic change and development. Too many of our vulnerable young people are being excluded - even those with SEN and the very young who are only just on the cusp of school life. And having seen first-hand the impact that exclusion has on children with often unmet medical needs - such as autistic spectrum condition (ASC) and attention deficit hyperactivity disorder (ADHD) - Jackie explores in this book the realities of what exclusion means to each of us and its impact on wider society. Jackie examines this critical issue through the lens of her experiences in both mainstream and specialist settings and presents practical, solution-focused guidance to help schools deliver the inclusive education that every child deserves. 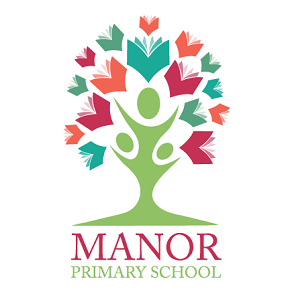 Drawing upon a range of sources, Jackie's wide-reaching analysis is backed up with case studies, up-to-date research and anecdotal reports - setting out a balanced view focusing on the stated and underlying needs of schools, staff, parents, children and other agencies. 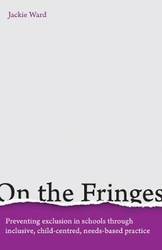 On the Fringes scrutinises exclusion procedures and reviews the SEND Code of Practice in depth, particularly highlighting the role of early interventions in detecting underlying SEN and medical needs. Jackie also explores a range of pre-emptive and alternative approaches that can be employed as part of a whole-school approach to pastoral care and behaviour management that develops pupils' self-awareness and self-regulation. In doing so she offers informed inspiration to teachers and SEN practitioners working with some of our most vulnerable children - who, without our care, compassion and tailored provision, are too often destined for lives on the fringes of society. 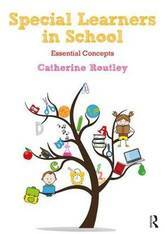 Suitable for teachers, school leaders, SEN professionals, policy-makers and parents. The second edition of Using Drama with Children on the Autism Spectrum takes the perspective that support for the learning and development of children should have the purpose of giving them the freedom to be more fully who they are and able to function more effectively as themselves in a wider range of contexts. The focus of this new edition is on learning outcomes as expressed by autistic people, for example, to develop better understandings about the social world and to know how to manage everyday situations more successfully. This practical resource book contains more than 150 activities for use with children aged 5-11 years old. 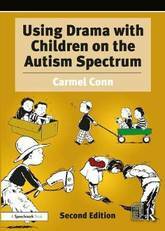 Written for mainstream and special education teachers, speech and language therapists, drama teachers, play workers and creative arts therapists, the book shows how using drama with children across the autism spectrum can provide valuable experiences in being with others and communicating with them in enjoyable ways that support the development of well-being and confidence. 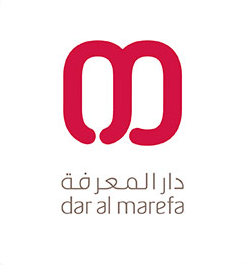 In addition, drama is presented as a rich medium for reflecting on everyday social situations and developing children's understandings about the social world. Complete with case studies, photocopiable resources and step-by-step guidance on how to facilitate drama activities that all children can enjoy, this practical resource will be invaluable for those who are looking for new ways of engaging children on the autism spectrum and their peers. The second edition of this practical resource has been extensively revised, updated and re-focused in line with current practice and thinking. 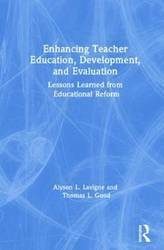 Enhancing Teacher Education, Development, and Evaluation examines the complex role that recent educational reforms have played in the teaching profession. The failure of programs like Race to the Top to benefit teaching and learning outcomes has yielded many questions about what went wrong and how a research-based plan for true systemic progress could actually work. Covering inaccurate narratives about schools and student achievement, evidence for teacher effectiveness, and the history and repercussions of Race to the Top, this book culminates with a proposal for future research and policy initiatives that more accurately and more equitably prioritize the measurement and improvement of teaching and learning. Five concise yet comprehensive chapters invite teacher and principal educators, teachers and school leaders in training, district administrators, policymakers, and other stakeholders to better understand the implications of and possible paths beyond misguided reform efforts. An overview of the recent past and an inspiration for the immediate future, this definitive analysis offers insights into how more reasonable, empirically derived strategies will ultimately foster more successful schools. This book is for adult learners of the Welsh language and looks at three linguistic eccentricities of the language.These three things are hallmarks of the Welsh language that often frustrate learners in class. They are three aspects of the language that could be used as legitimate excuses for packing in the whole language learning endeavour altogether. This book uses accessible grammatical explanations to tackle the following things you feel you'll never master: 1) Mutations 2) Saying yes and no 3) the verb to be You don't need to be a grammarian or a polyglot to read this book. You don't need to know what the imperfect subjunctive is. You don't need to have a degree in Linguistics. 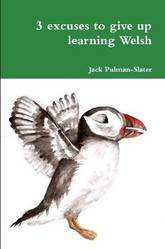 You've got everything you need already: an interest in Welsh, a brain and this book. Contains a grammatical glossary and short exercises. 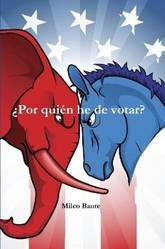 ?Por quien he de votar? Un analisis de conciencia con informacion de todos los partidos que postulan para el 2020, a traves de la perspectiva del escritor, editor y profesor cubano americano Milco Baute, autor de ?Por que Donald Trump? , Comunismo en America , Las tres fases de la Izquierda Americana , Lo que ellos no quieren que sepas , Frases, expresiones y proverbios , entre otros. El autor explica con detalles como se puede cambiar la historia de una nacion y como los ciudadanos votantes pueden salvar a un pais cumpliendo su deber ciudadano, siendo sabios y responsables a la hora de votar. Vivimos en tiempos dificiles y muchos paises han caido bajo dictaduras de izquierda por la desinformacion, apatia e ignorancia en el momento de ejercer su voto de conciencia; lo cual luego es muy dificil librarse de estas. In this much-needed book, experts Emily L. Davis and Brad Currie draw on their extensive experience in coaching and instructional technology and provide concrete, research-based strategies to help coaches in their day-to-day role. Whether you're beginning a coaching initiative or looking for practical insights on coaching in a variety of settings, including in groups and one-to-one, you'll find the resources you need to overcome challenges and grow your coaching skills. Topics include: The basics of tech coaching How to clarify on the expectations and objectives of your role Tips for recruiting teachers to work with you Guiding educators in planning and implementing meaningful technology integration How to plan and facilitate effective team coaching Strategies to gather and share data to communicate the impact of your coaching work How to stay ahead of the curve and keep learning for the future Every chapter includes practical tools, templates, and illustrative vignettes from the field to help you ensure the success of your technology coaching initiative. Join the conversation! 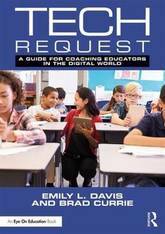 Discuss the book and your coaching questions on Twitter with the hashtag #TechRequestEDU. The conceptualisation and practice of play is considered core to early childhood pedagogy. In this essential text, contributors from a range of countries and cultures explore how play might be defined, encouraged and interpreted in early childhood settings and practice. 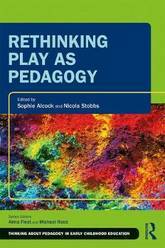 Rethinking Play as Pedagogy provides a fresh perspective of play as a purposeful pedagogy offering multi-layered opportunities for learning and development. Written to provoke group discussion and extend thinking, opportunities for international comparison, points for reflection and editorial provocations, this volume will help students engage critically with a variety of understandings of play, and diverse approaches to harnessing children's natural propensity to play. Considering the role of the learning environment, the practitioner, the wider community, and policy, chapters are divided into four key sections which reflect major influences on practice and pedagogy: Being alongside children Those who educate Embedding families and communities Working with systems Offering in-depth discussion of diverse perceptions, potentials and practicalities of early childhood play, this text will enhance understanding, support self-directed learning, and provoke and transform thinking at both graduate and postgraduate levels, particularly in the field of early childhood education and care, for students, educators, integrated service providers and policy makers. How the obsession with quantifying human performance threatens business, medicine, education, government--and the quality of our lives Today, organizations of all kinds are ruled by the belief that the path to success is quantifying human performance, publicizing the results, and dividing up the rewards based on the numbers. 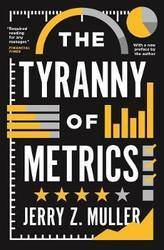 But in our zeal to instill the evaluation process with scientific rigor, we've gone from measuring performance to fixating on measuring itself--and this tyranny of metrics now threatens the quality of our organizations and lives. In this brief, accessible, and powerful book, Jerry Muller uncovers the damage metrics are causing and shows how we can begin to fix the problem. Filled with examples from business, medicine, education, government, and other fields, the book explains why paying for measured performance doesn't work, why surgical scorecards may increase deaths, and much more. But Muller also shows that, when used as a complement to judgment based on personal experience, metrics can be beneficial, and he includes an invaluable checklist of when and how to use them. The result is an essential corrective to a harmful trend that increasingly affects us all. For many, digitalization is the key to revolutionizing education. But what do we know about its impact on the learning process? What benefits are on offer and what are the risks? What are the consequences for educational interventions? Putting Learning Before Technology! discusses these questions and more in a thorough exploration of the use of technology in educational settings. Central to the author's argument is that digitalization as a sole and structural measure will bring little benefit and that the teachers who bring lessons to life are much more important. Features of the book include: evidence from Visible Learning research to scientifically frame the effectiveness and pitfalls of technology in the classroom; real-life classroom examples; graphics to clearly illustrate key concepts and studies. This book is a fascinating analysis of the impact, possibilities, and limits of the use of technology within education, and will appeal to teachers and teacher-trainers in any setting or country. 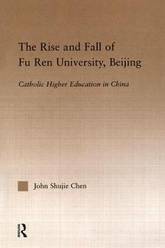 This new book tells the story of the rise and fall of Fu Ren University (1925-1952) and provides an analysis of a key Catholic higher education institution in China.